Asclepias (also known as Milkweed plants) are the only food source for Monarch butterfly larvae, making these plants vital to the butterfly's life cycle. Any loss in the population of milkweed means a loss of the monarch population. You can help save the monarchs & also have a beautiful, colorful garden by planting asclepias plants. Read more in our recent blog post. An easy-to-grow native plant that will thrive in a hot and dry spot, asclepias will tolerate most garden soils. They are an excellent food source for butterfly larvae as well as a lovely flowering plant for your garden. Milkweed plants are among the best known North American wildflowers. 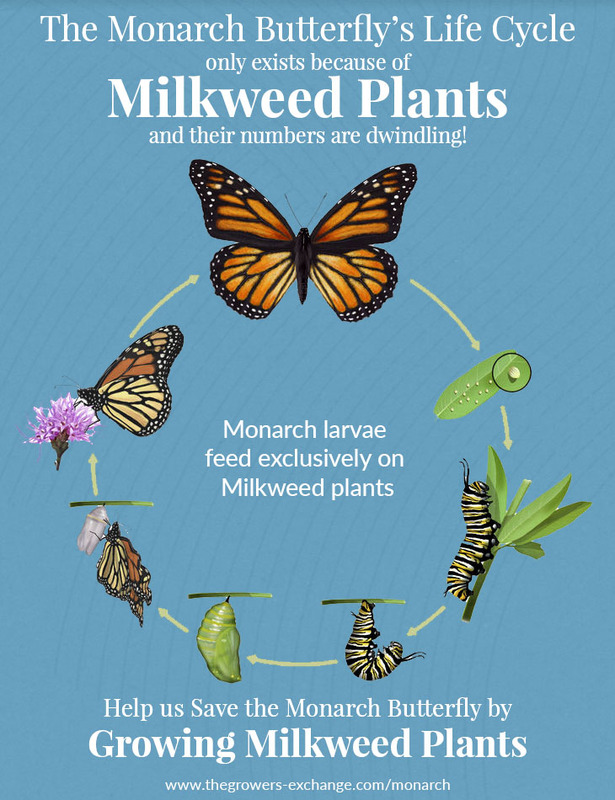 Plant more milkweed to help save the monarchs!